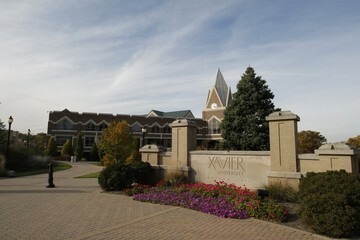 Xavier University welcomes chaperoned groups of 15 or more to visit campus. The information presented below is a guide for chaperones and tour organizers. Tour group appointments will consist of an admissions presentation and a campus tour as outlined below. Join a Xavier admissions representative for a formal presentation about Xavier University including the Xavier heritage, campus life, academics, admission requirements and financial aid procedures. Time will be available for general questions. A current Xavier University student will lead the group on a tour of campus. The tour will include prominent buildings and resources on campus and lasts approximately 30 - 45 minutes. We are not able to accommodate large group visits during the months of May through August. Group Tours will resume in September. Groups must consists of at least 15 students, 9th through 12th grade. To arrange a visit, complete the request form below. At least two (2) weeks of advance notice is required. Groups consisting of students in the 9th grade or older are welcome to campus. We expect a ratio of at least 1 chaperone for every 10 students. A chaperone is required to accompany each tour group. Group sizes are limited to 50 students total. We will only accept group visits for Fall 2019 on Wednesdays. Fall group visit registration will open in September. We will only accept group visits for Spring 2020 on Wednesdays. Spring group visit registration will open in January 2020. Parking arrangements will be made by the Admissions Office. Please be on-time for your visit - we cannot guarantee the full Xavier experience you have scheduled if your group does not arrive on time. We are able to accommodate one group per day - please have alternate date(s) in mind when completing the request form. Summer Group Tours: We are unable to accommodate group tours during the months of May-August. Once your visit date is approved, a confirmation e-mail will be sent to the group organizer including locations, directions, and parking instructions to be shared with the group. Please complete the form below to request your visit date. Group visits for fall will begin in September, and will run through November. If you have any questions, please contact the Office of Undergraduate Admission at xuadmit@xavier.edu.